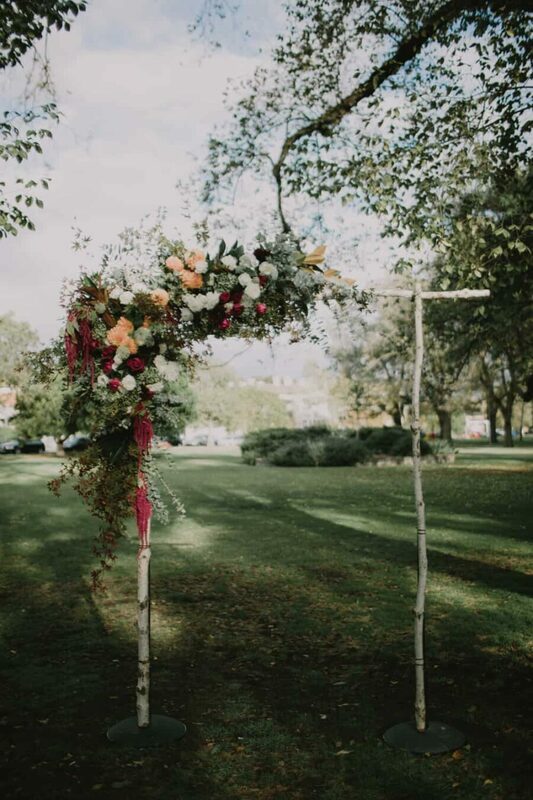 We love an autumn wedding and Claire and Brian’s Edinburgh Gardens nuptials made all our seasonal dreams come true. 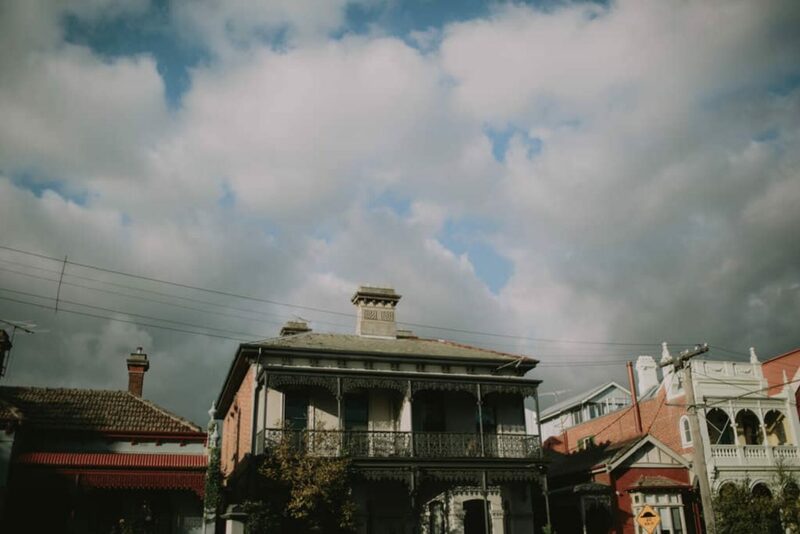 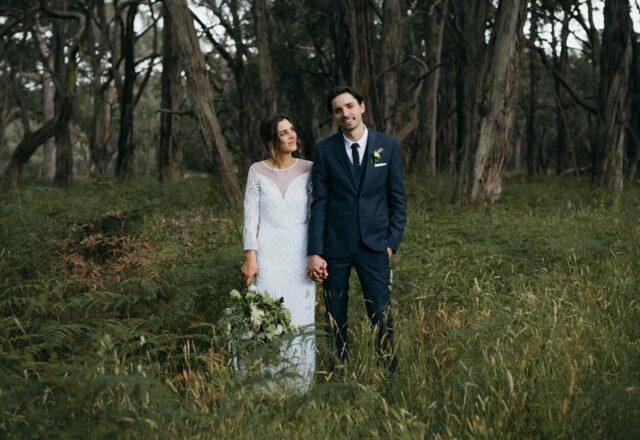 An ominous sky, the leafy Circle of Trees and Lilli Waters of I Got You Babe behind the lens made for one heck of a beautiful wedding. 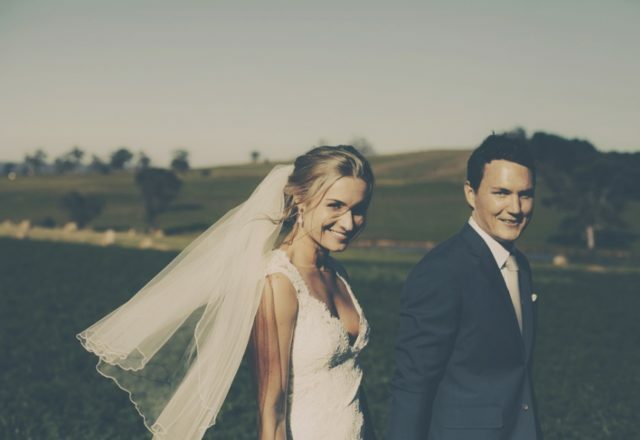 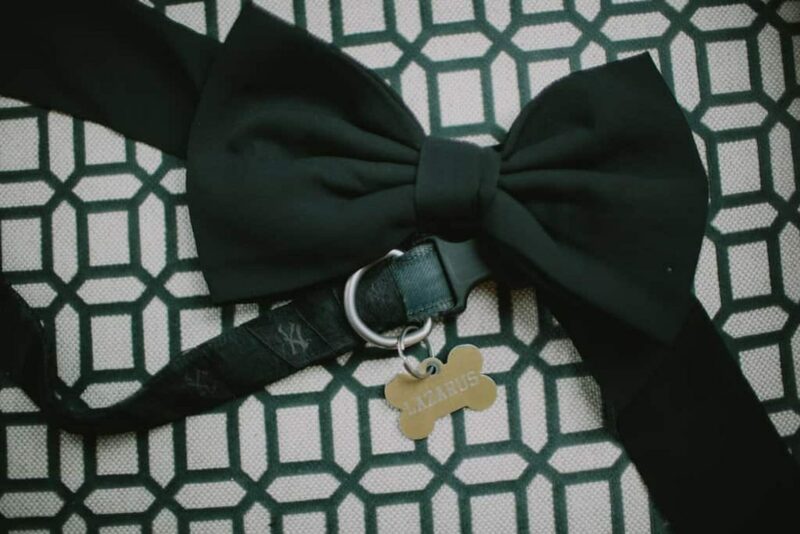 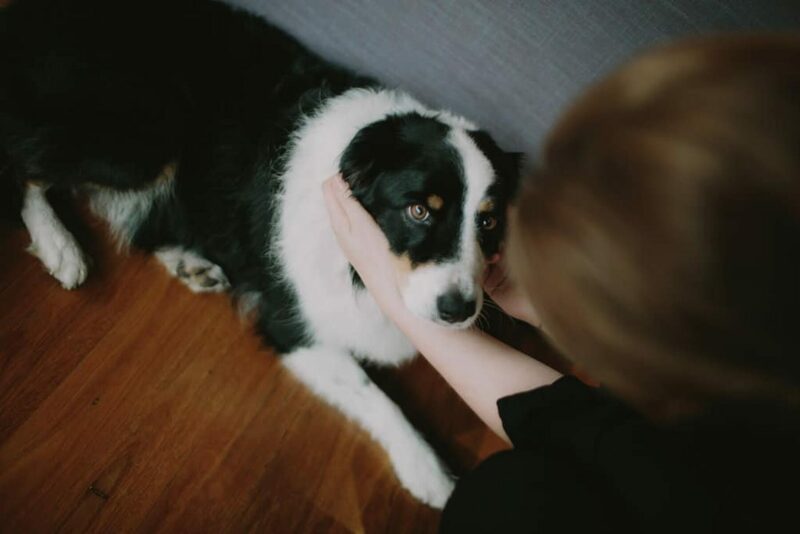 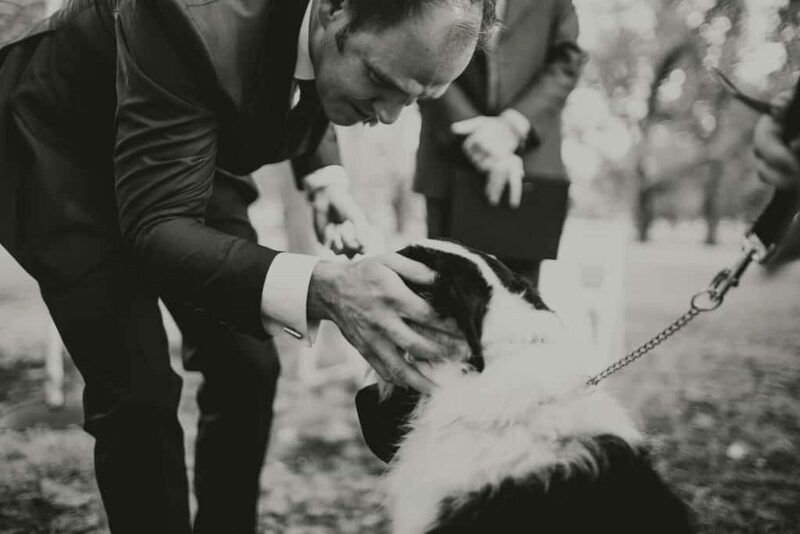 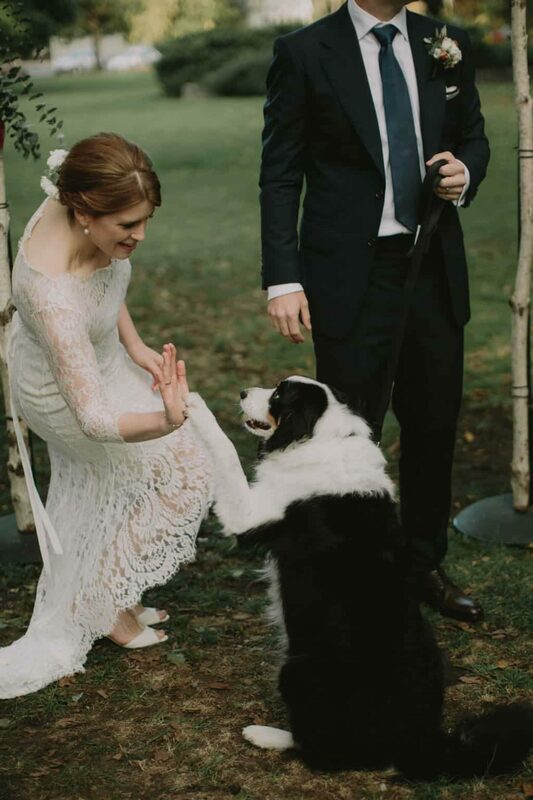 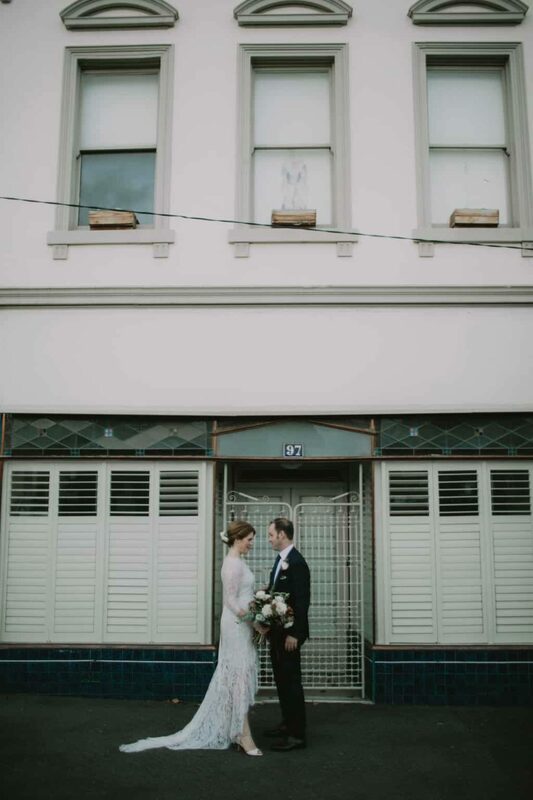 The pair made the decision to walk down the tree lined ‘aisle’ together, with their border collie as ring-bearer – sweet, unconventional touches that showed Claire and Brian weren’t afraid to do things their way. 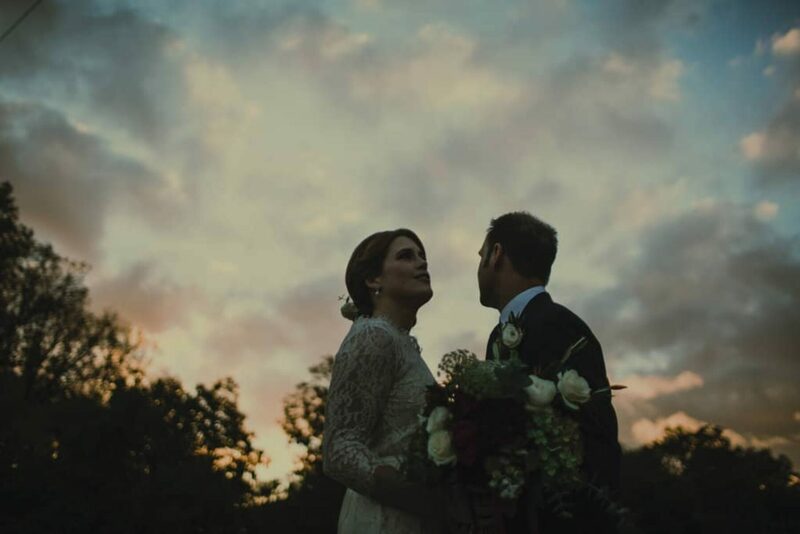 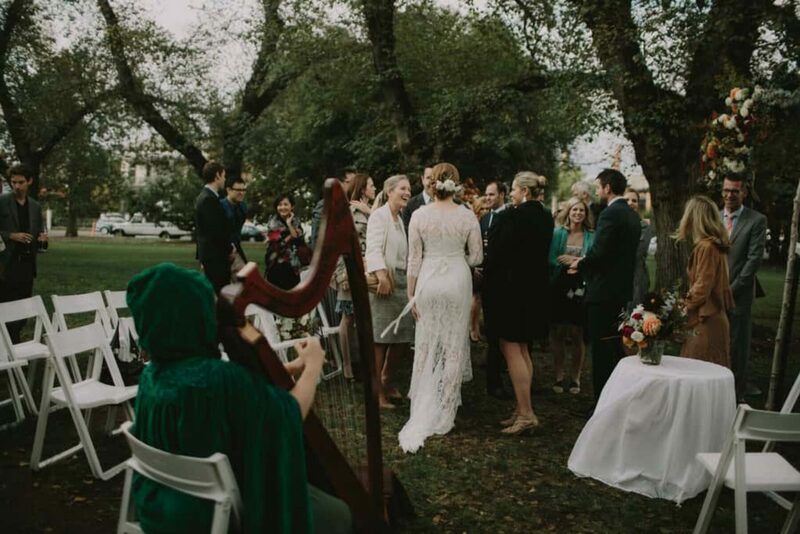 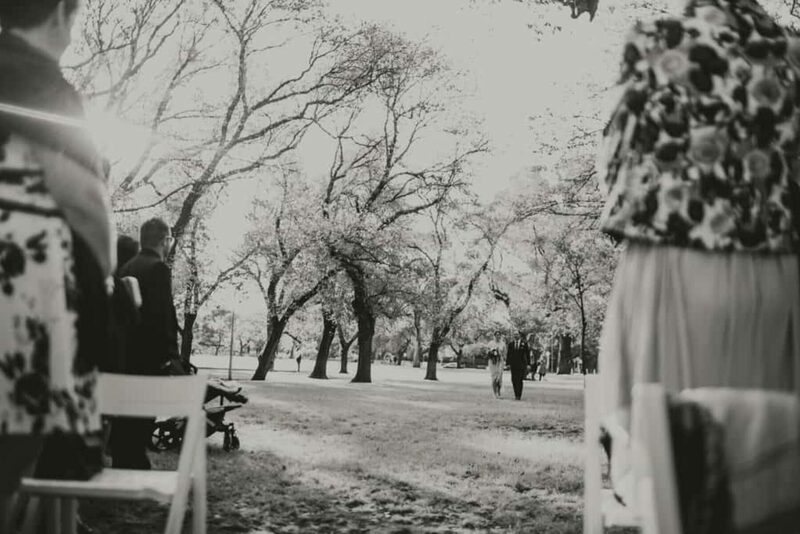 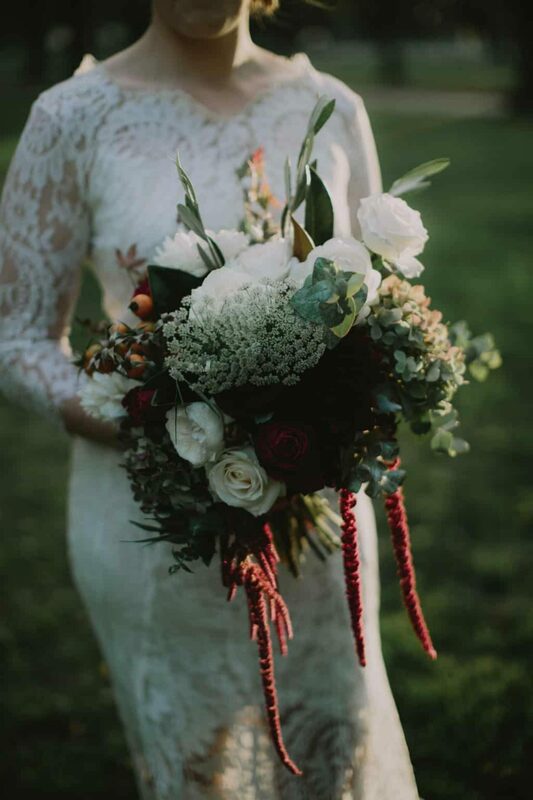 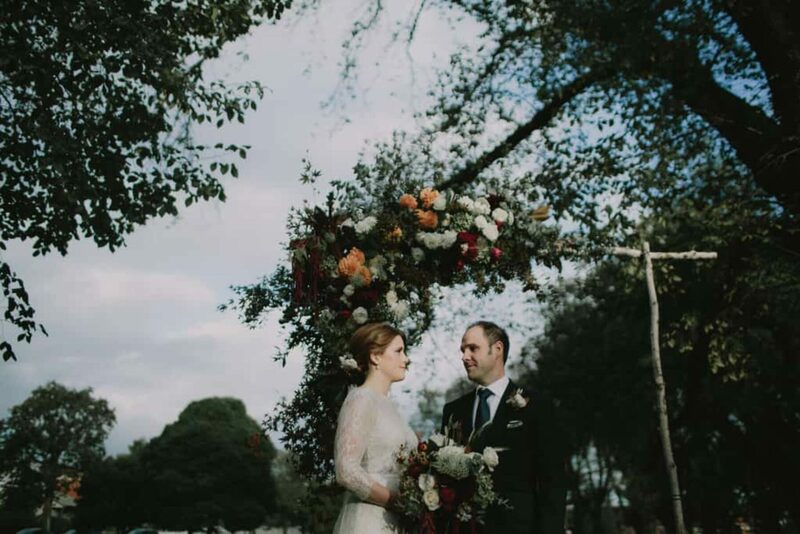 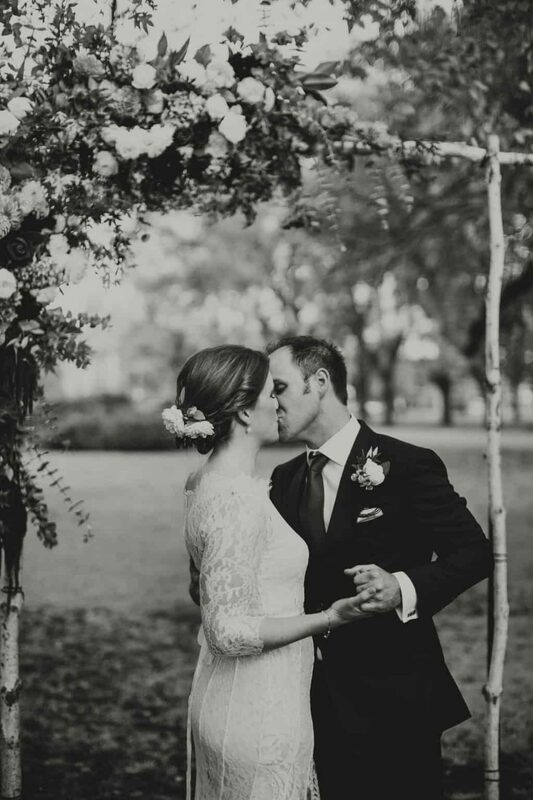 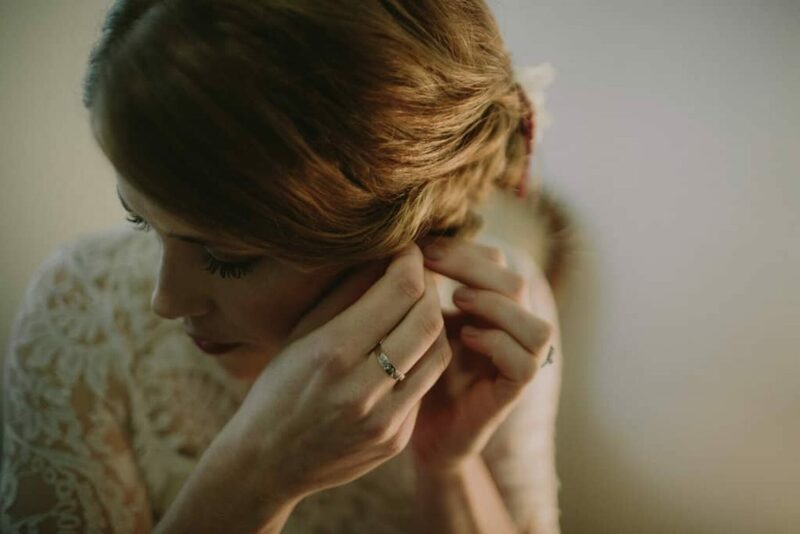 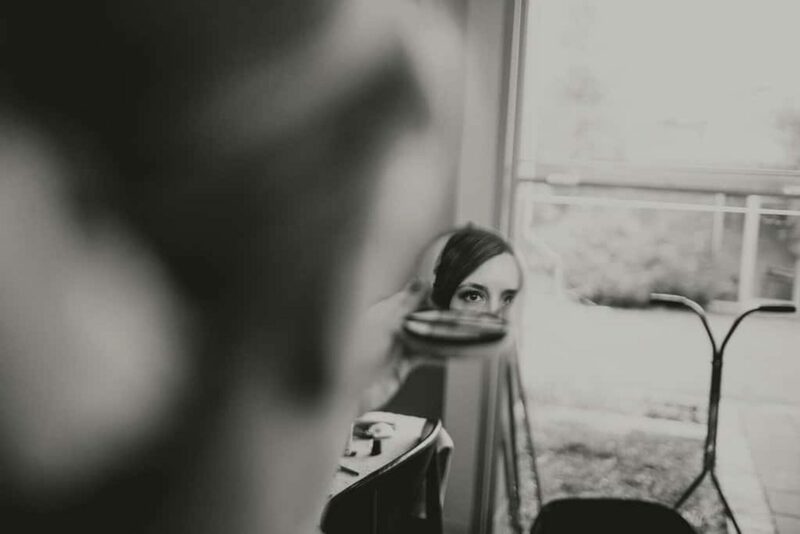 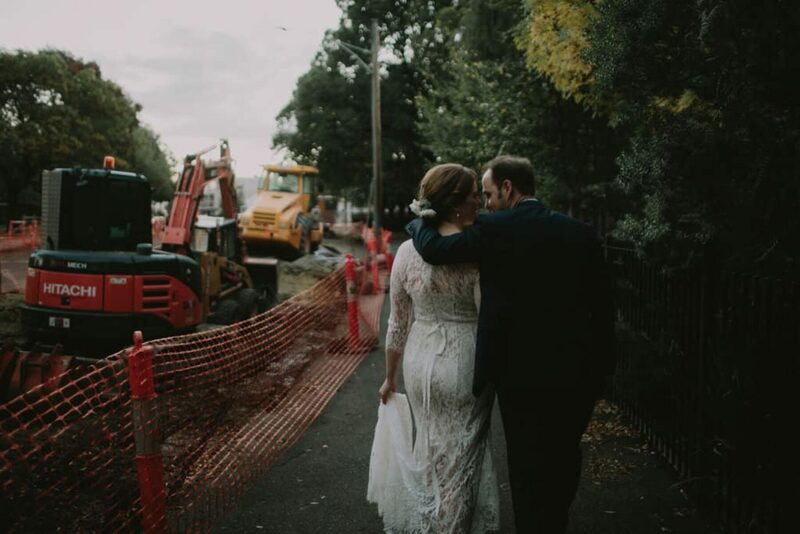 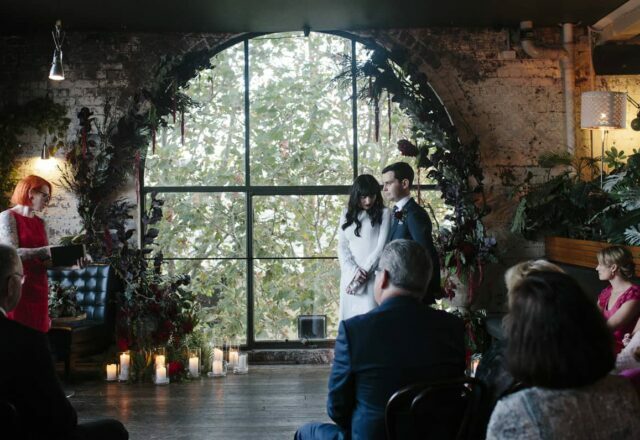 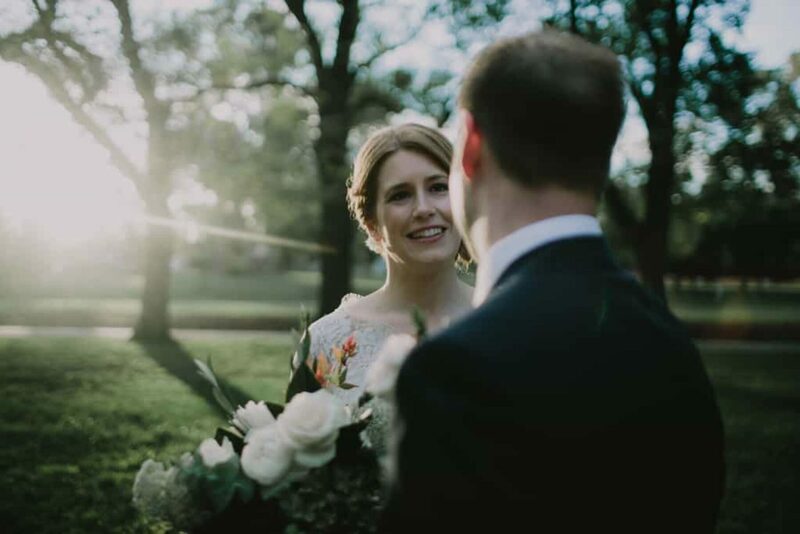 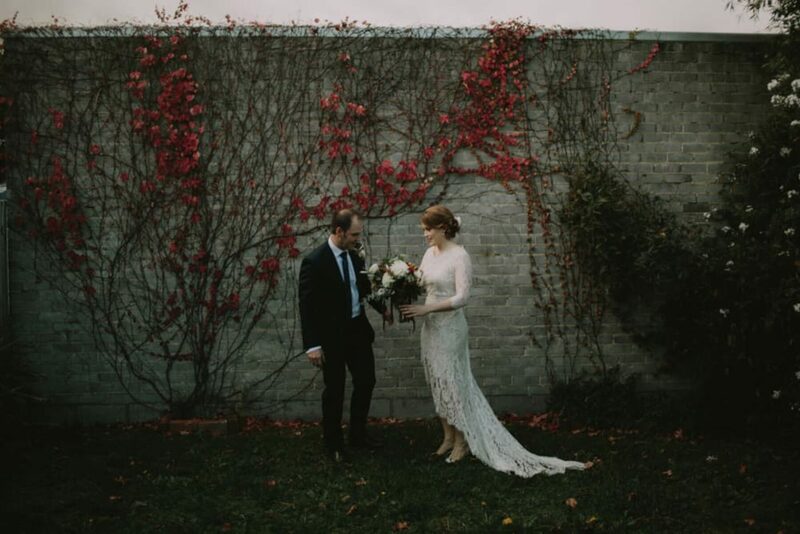 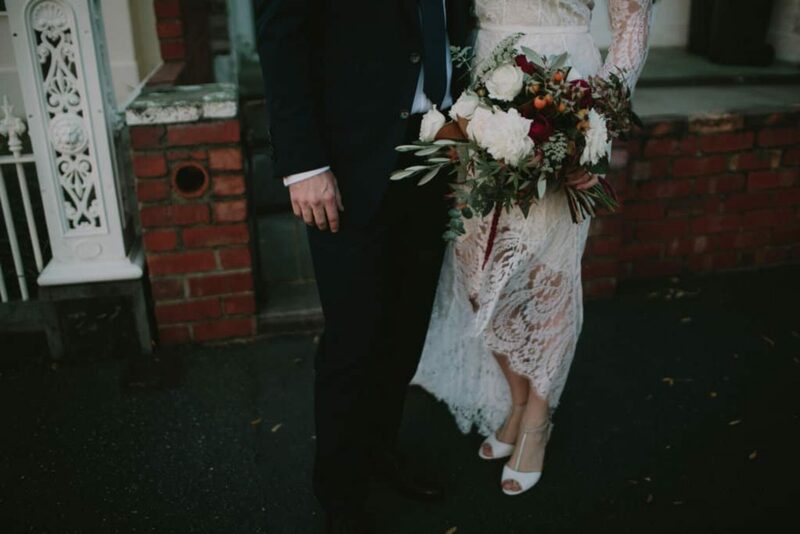 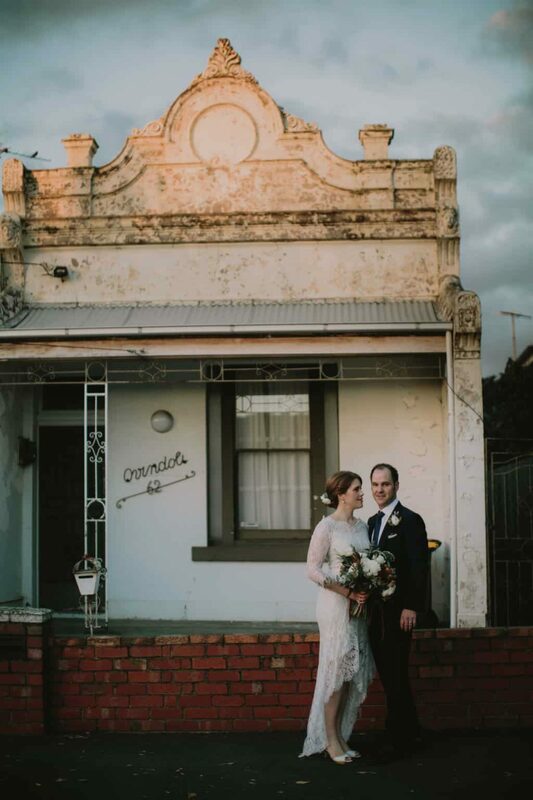 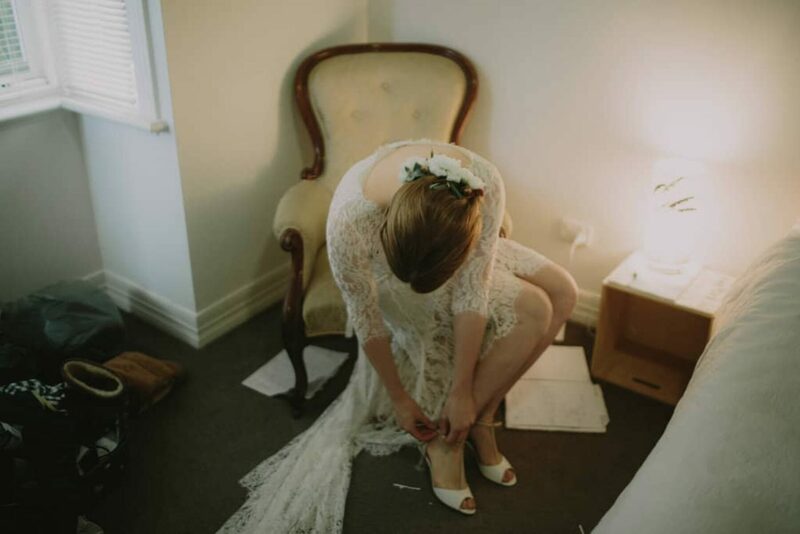 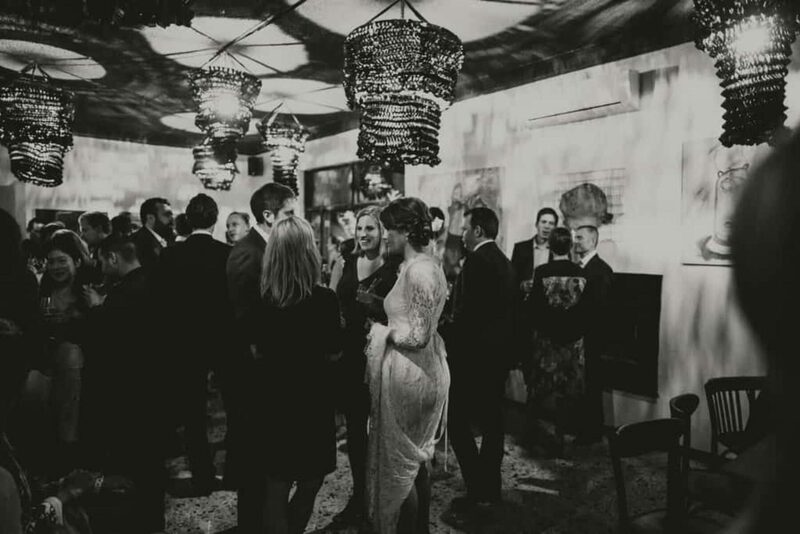 According to Claire, the sun came out just in time for their intimate ceremony and Lilli of I Got You Babe perfectly captured the moody autumn aesthetic. 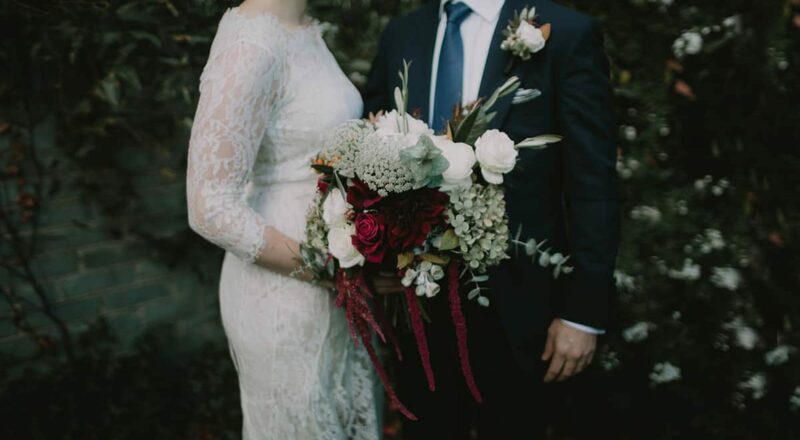 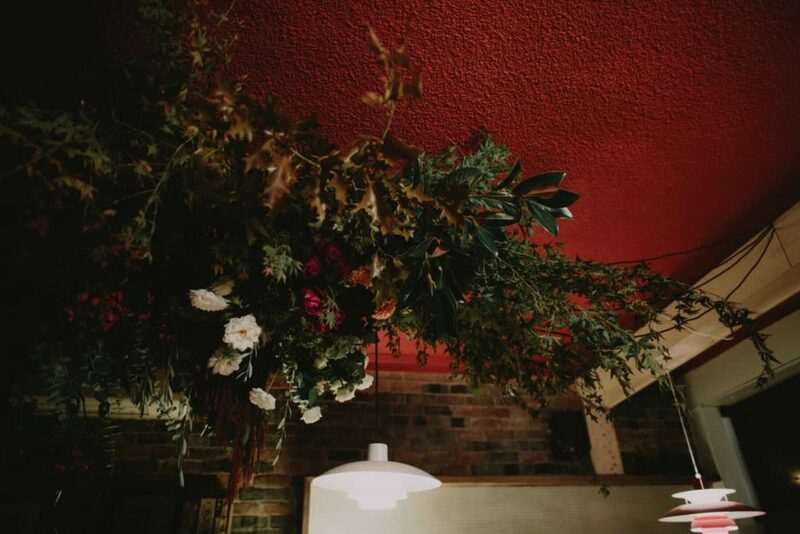 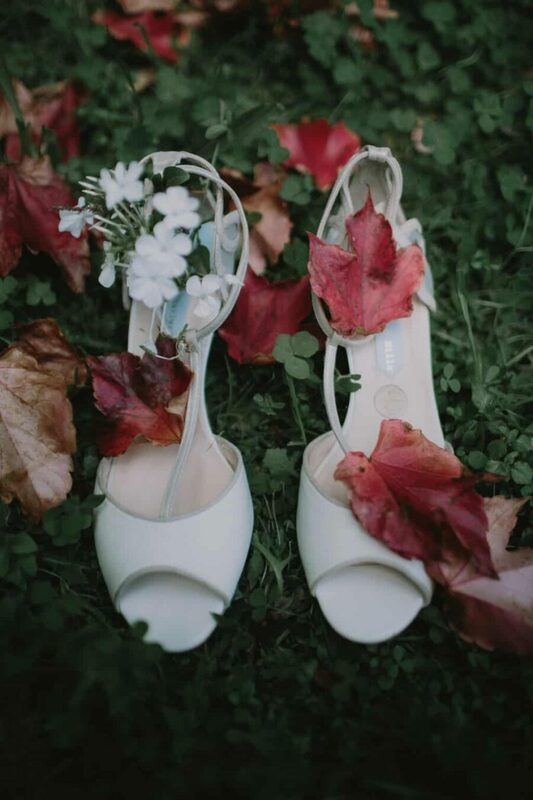 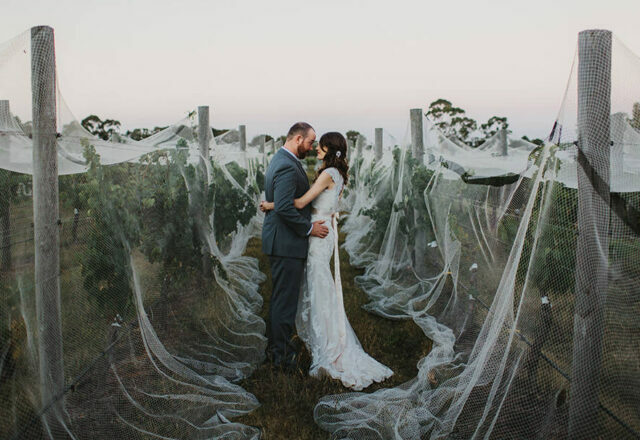 Another thing we love about autumn weddings? 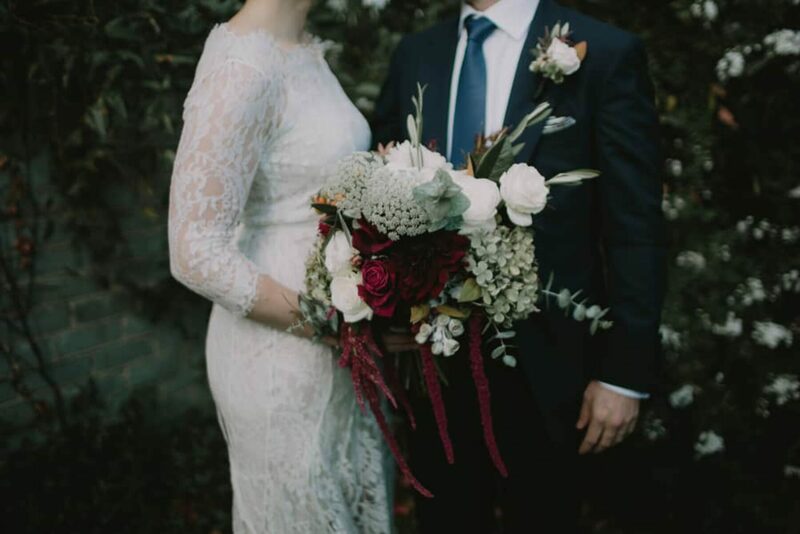 Sleeves! 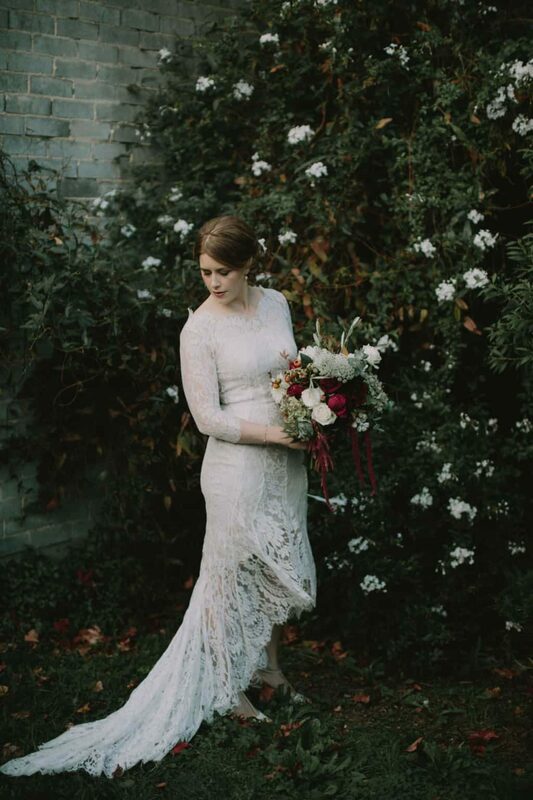 This beauty took advantage of the cooler weather, looking stunning in a long sleeved Lover number. 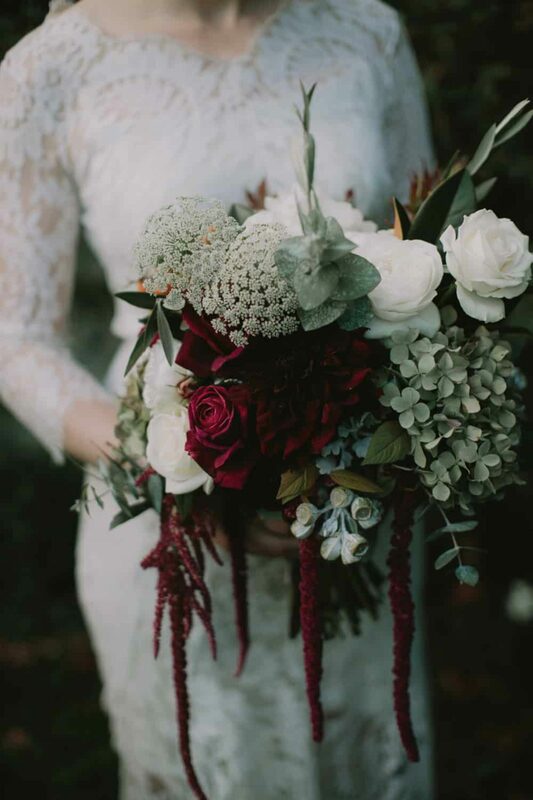 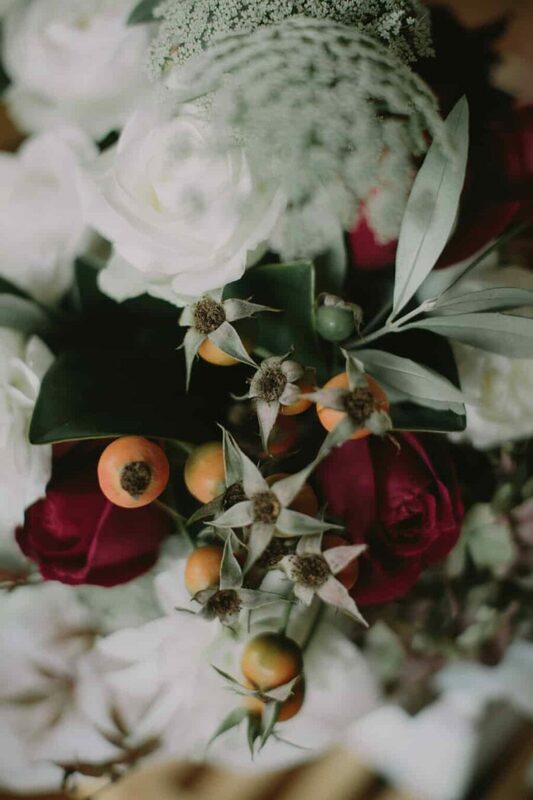 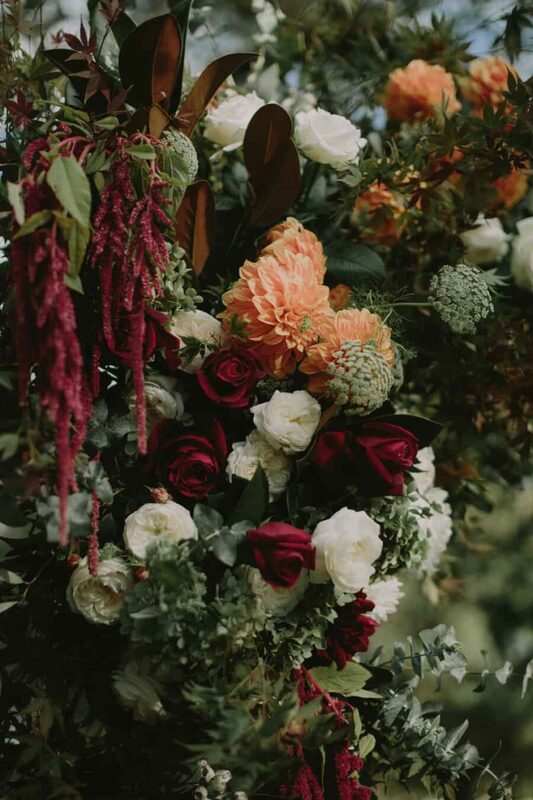 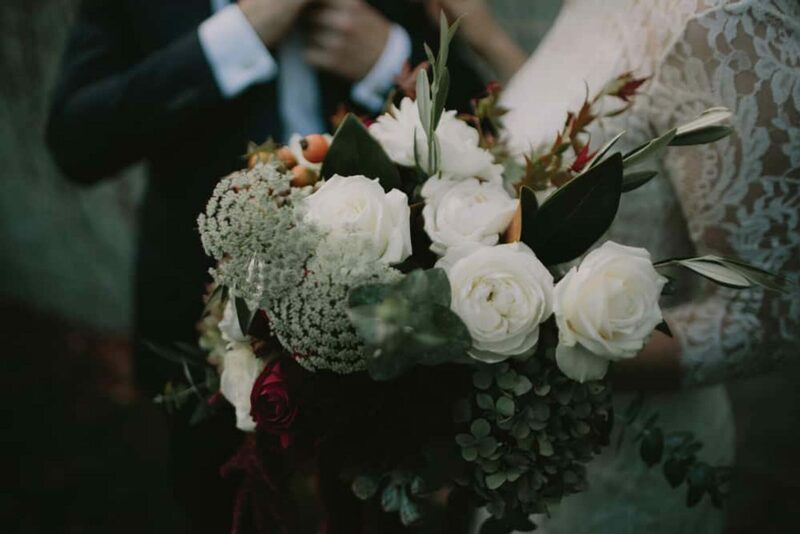 We know to expect incredible blooms from Melbourne florist Pomp & Splendour and Claire’s rich, autumnal bouquet is no exception. 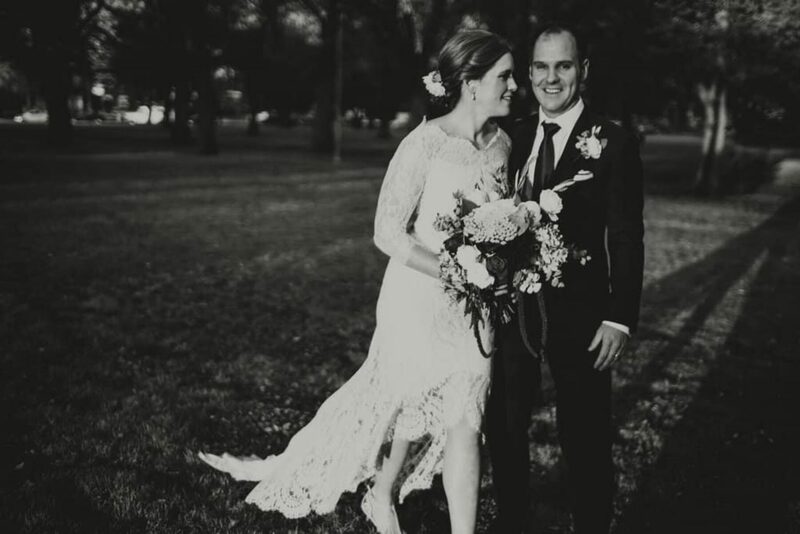 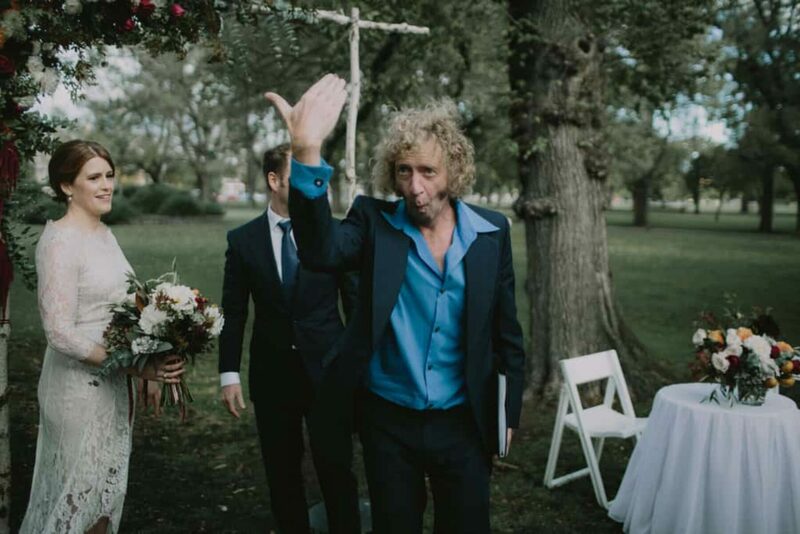 Quirky celebrant Jon von Goes always gets rave reviews from our couples and Claire and Brian were no exception, "JVG was perfect for us- friendly, inclusive, funny and got the tone perfectly right!" 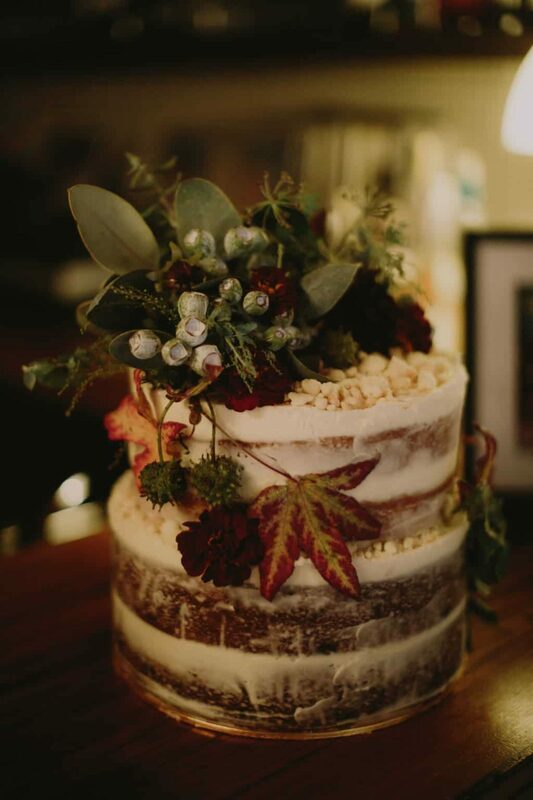 Sticky Fingers Bakery was responsible for this semi-naked masterpiece, and the bride's verdict? 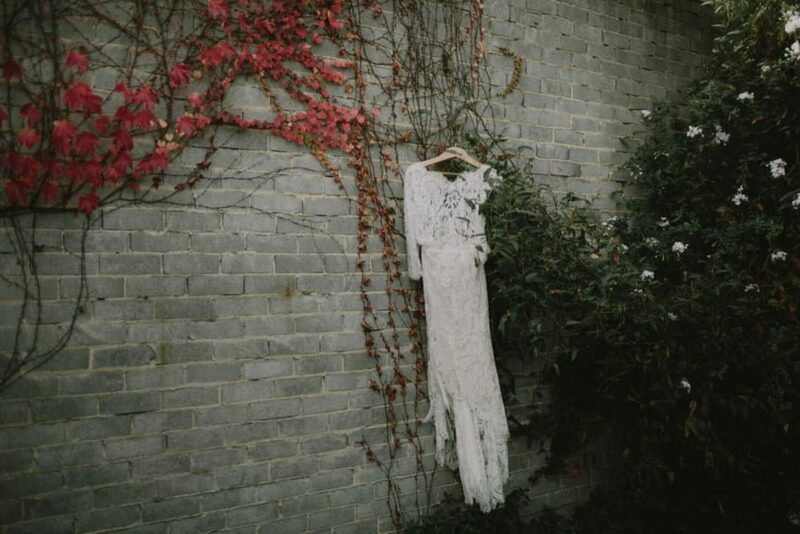 "Delicious. 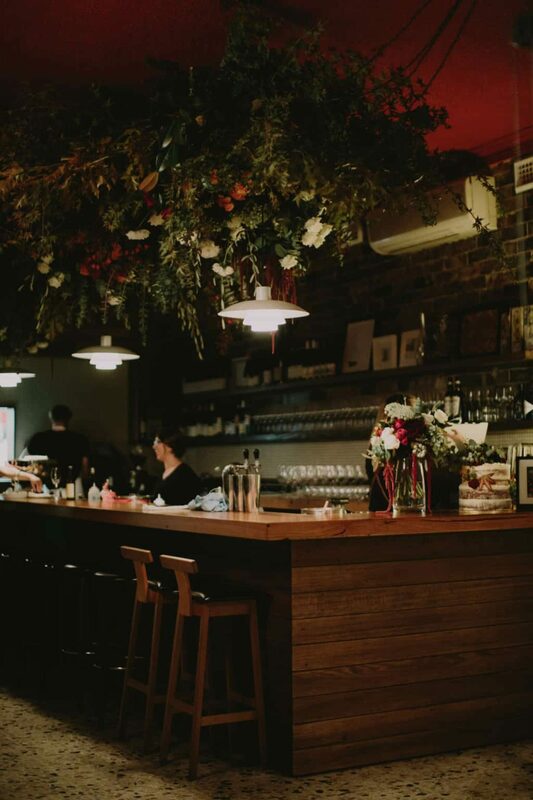 Loved the beautifully simple yet exquisite flavours."